keep the site completely free and without the need to register to use it . 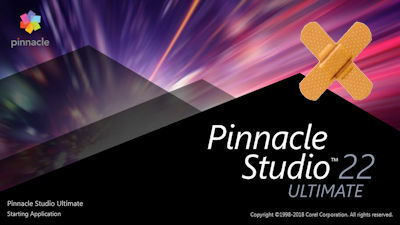 Software that we deal with is: Pinnacle Studio 21, Studio 21 ULTIMATE (but also versions Studio 1-20), AVID Studio, Hollywood FX, proDAD VitaScene 2, Heroglyph 4, Adorage, Mercalli 2, Mercalli 3, Mercalli 4, Defishr 1, proDRENALIN, ReSpeedr, Boris Graffiti FX and Blufftitler. If this is your first time visiting the site and you are looking for a particular topic, use the "Search" tool to quickly find what you need. The site is divided into “ information articles ” and “ tutorial articles ”. Information articles give you all the latest news on the website and in the world of digital video editing while tutorials will teach you about the steps to follow to accomplish a particular task (often illustrated with a video demo). If you're familiar with this website, besides the search tool, the "Archive" tool and filters are also at your disposal. The most recent articles & tutorials are available on this page. A comments section is provided at the end of each of our articles/tutorials. Do not ask general questions or questions intended to solve a personal problem in this section. You will find the latest comments submitted by our visitors on these pages. On this site you will find general information about nonlinear video editing software that we use, as well as tutorials, FAQs, hundreds of free Hollywood FX transitions, downloads, links page and a "Contact" page where you can contact us directly on subjects unrelated to our articles. In short, all the help you would come to expect to make your video editing fun. However, we do not have the means for direct assistance and troubleshooting for issues not directly or indirectly related to our publications. In this case, we recommend that you go directly on the forums listed at the bottom of our pages. You will receive a prompt response to your question, either from forum members or ourselves if we have the time available. We sincerely hope to be helpful because our only motivation is your satisfaction.